WELCOME TO MY MONEY MISSION ONLINE: IT'S AN IDEAL DAY FOR THE WEARIN' OF THE GREEN! IT'S AN IDEAL DAY FOR THE WEARIN' OF THE GREEN! 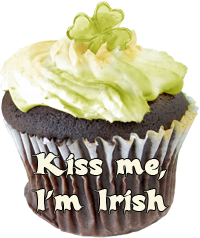 While many of us here, in the USA, associate corned beef and cabbage with Ireland, this popular St Patrick's Day meal has roots in America, and is not traditional Irish food. 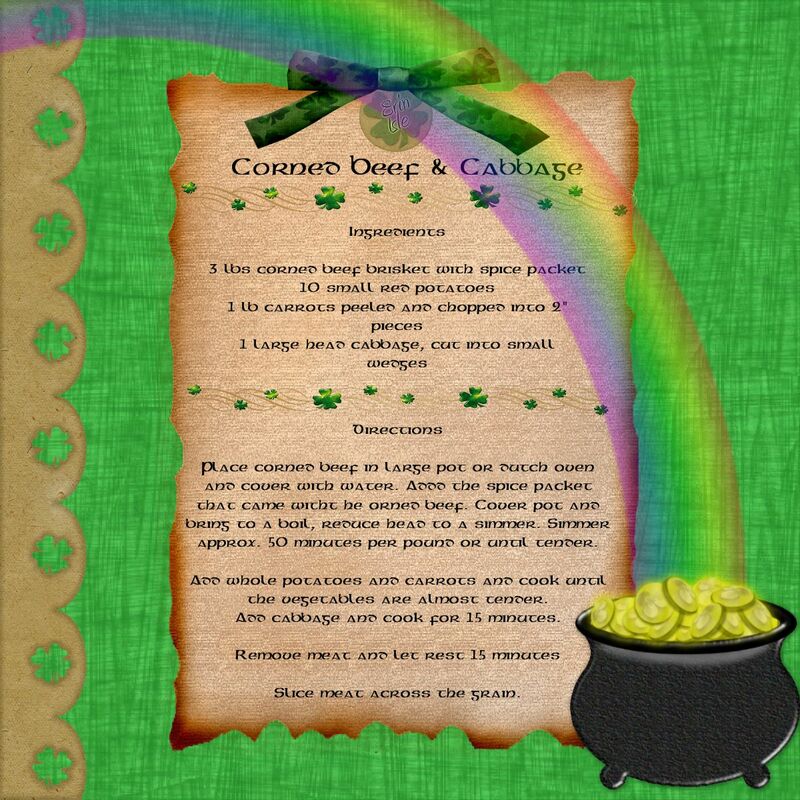 Traditional Irish Recipes contain salt pork Instead of corned beef. Corned beef and cabbage appears infrequently in Irish pubs and restaurants, except for those in heavily touristed areas, and is much more likely to be replaced by its traditional counterpart - an Irish stew with cabbage, leeks, and a bacon joint. 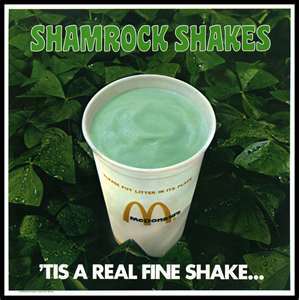 Now, I don't know about you, but when I celebrate St. Paddy's day, this is MY "food of choice!" If you want more Corned Beef and Ireland history, read Suite101: History of corned beef and cabbage. LOL...I will take one of those cupcakes, though!